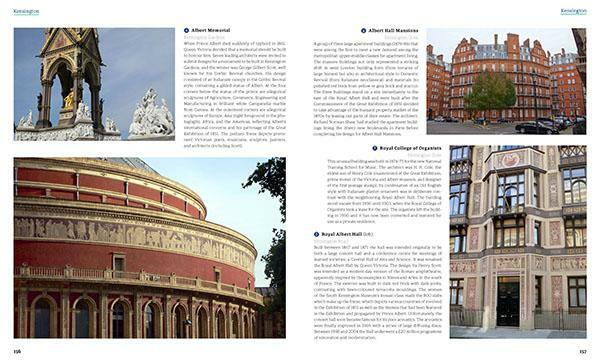 I’ve been immersed in a trio of complementary London books in recent weeks, each of which adds further depth to any understanding of the city’s built environment. London: Architecture Building And Social Change is a very useful, glossy overview looking at how London’s architecture has developed – or not – with the city’s needs. Sometimes the architecture has led to social change; sometimes social change has led to new architecture. Author Paul Knox focuses on 27 districts – largely central, which is understandable but slightly annoying – exploring how landowners and developers combined to give them their character, before looking at a dozen key buildings in closer detail. There’s rich detail here, as well as nice pictures and helpful maps. 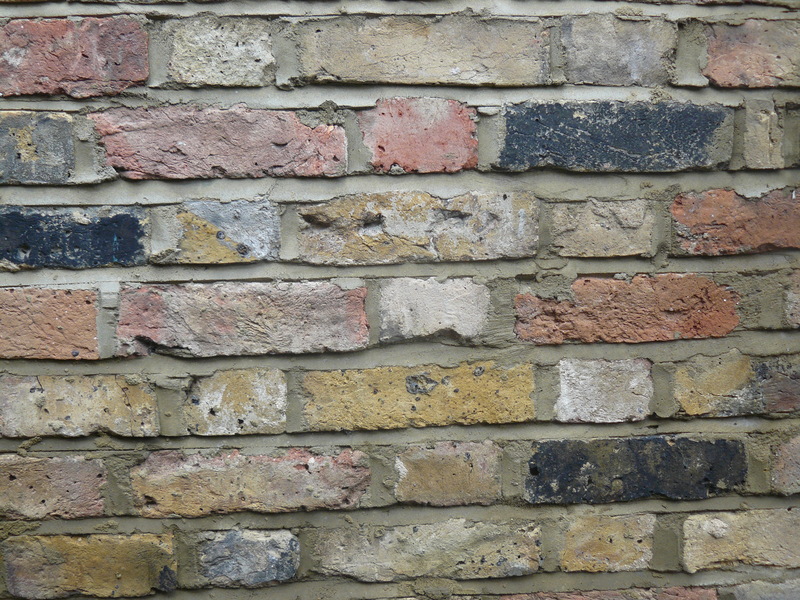 I was particularly grateful for being introduced to the word “super-gentrification” to describe London’s current toxic situation. Knox is particularly good at emphasising the city’s sense of scale – how it has repeatedly rejected density in favour of a more humanising style of urban living in the form of terraces or mansion blocks – and showing how this is once more under attack. The overall feel is a little like seeing London through a microscope: first the overview, then closing in on a specific area, then seeing how all this maps on to a single building. It’s also a terrific reference book. If Knox’s angle is how we got from ‘then’ to ‘now’, Tom Bolton is more interested in what ‘now’ obscures of ‘then’. 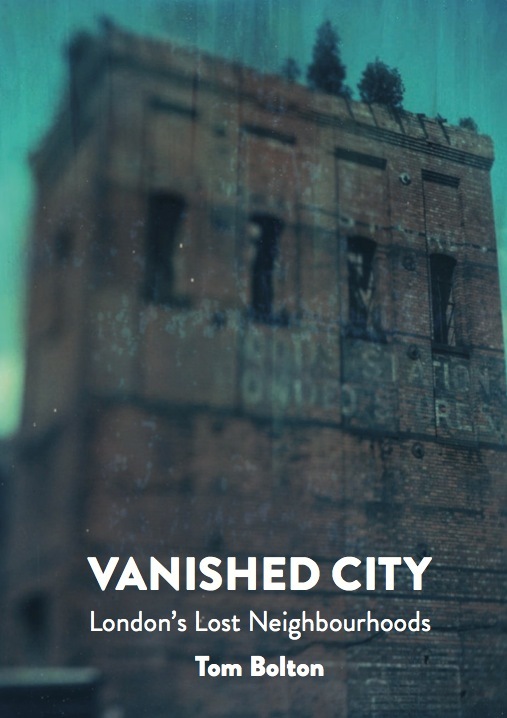 Vanished City: London’s Lost Neighborhoods hunts the streets for traces of London districts that have been eradicated by time, developers, fire and bombs. Bolton embraces the history, delving into archives to restore to life forgotten quarters such as Ratcliff, Cripplegate, Wellclose, Clare Market and, particularly fascinating, the strange lost towns of Old St Pancras. There’s much incidental overlap with Knox, but Bolton fills in some of the gaps, bringing us the stories of the people who lived in these lost towns rather than simply telling us who owned the land and what was built on it. Brilliantly researched and breezily written, the only drawback is a lack of maps, which would have really helped the reader pin the past on to the present. Instead, as with Bolton’s previous book with Strange Attractor, SF Said adds suitably spooky imagery. 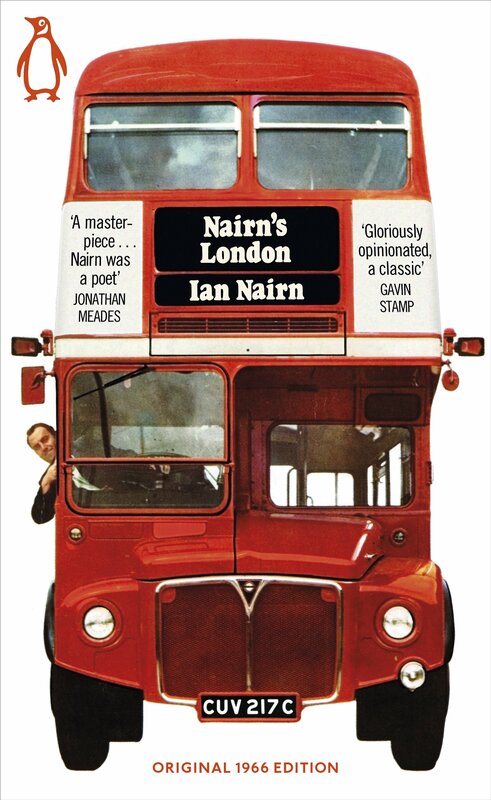 Finally, the reprint of Ian Nairn’s Nairn’s London is a must for any Londonphile. Filling a space between Bolton’s largely historic musings and Knox’s contemporary report, Nairn looked at London at a very specific point in time, the mid 1960s, as the post-war redevelopment of the city was really getting underway. 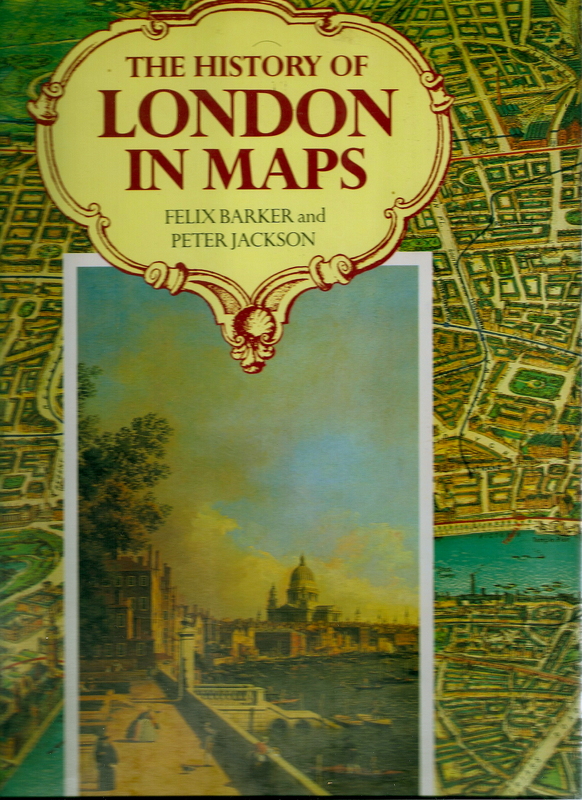 In this way, it makes a nice companion to HV Morton’s In Search of London, roving, individualistic, romantic and revealing. Nairn conceived it as “record of what has moved me, between Uxbridge and Dagenham”, and his idiosyncratic eye meant he was able to celebrate vernacular masterpieces like the Granada in Tooting (“Miss the Tower of London if you have to, but don’t miss this”) while waspishly dismissing some of Wren’s lesser works. Vivid and memorable, it’s like a three-dimensional A-Z. If you don’t already own it, snap one up. This article originally appeared in Dazed And Confused magazine in February 2012. Maggs Bros Ltd rare bookshop is an unlikely place to encounter the counterculture. For a start, it’s located on one of London’s poshest squares in Mayfair, the heart of the establishment, and even boasts a Royal warrant just inside the front door. Inside No 50 Berkeley Square – an imposing Georgian terrace once described as ‘the most haunted house in London’ – earnest young men in expensive suits sit at desks covered in large old brown books, which they flog to largely millionaire collectors that occasionally step through the front door. But round the back, a different world awaits. Carl Williams works in an office converted from the stable block, in a room that is full of wonders. Come here at the right time and you will find boxes full of punk fanzines sitting on chairs draped with Republican flags from Spanish Civil War. Ask Williams nicely and he may show you brooches made by junkie poet Alexander Trocchi from used heroin needles, a complete set of ‘Anti-Monopoly’ board games or a pamphlet drawn by Latvian anarchist Peter the Painter, the shadowy figure behind the Sidney Street Siege of 1911. This recent catalogue will give you an idea of the material. Williams, a fast-talking Yorkshireman , is one of the few booksellers who deals in items related to the counterculture, a nebulous term which covers politics, the occult, avant-garde art, film and literature, drug culture, rock and roll and alternative lifestyles. The interesting stuff, in other words. ‘There’s no guide to the counterculture,’ says Williams. ‘It’s not doctrinal. It’s whether something has the right feel, the way it looks, where it came from. 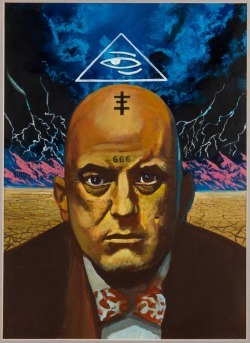 It’s folk art, it’s the Watts Towers, it’s Austin Osman Spare, it’s Aleister Crowley. It’s not like Marxism where everybody knows the key texts. 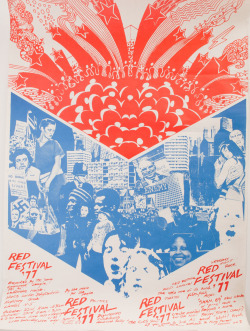 There are things in the counterculture that are still being discovered. There are things lost in libraries that will take it in a completely new direction.’ And it isn’t just books: Williams deals in paintings, posters, games, clothes and records. The only requirements are that Williams can locate it somewhere within his own concept of the counterculture, and that he can sell it. He also puts on occasional shows in the gallery beneath his office, such as the recent Lost Rivers exhibition. Unstable at Maggs Bros Gallery is on until June 8, 2012. Hancock and BS Johnson have much in common. Both were aspirational working-class/lower middle-class men defined by the 1950s who spoke in the language of outer-urban post-war London. Both were men of keen wit and sharp intellect who enjoyed – or couldn’t help – skewering their own occasional lapse into pomposity. Both were depressives with a gift for pointed, painful comedy. Both killed themselves. They even looked similar: thick, heavyset men with wounded eyes. And, most importantly, both referenced Chelsea in key texts (Hancock in ‘The Football Pools’ and Johnson in ‘Albert Angelo’). I once interviewed Tim Lott – or was it Toby Litt? – who suggested that Hancock was London’s answer to the Angry Young Men of 1950s northern working-class fiction, and there’s something this, though I’m not sure Sillitoe or Wain ever came up with anything as dark as Galton and Simpson’s ‘The Poison Pen Letters’, in which Hancock is so consumed by self-loathing he starts sending himself hate mail in his sleep. But this is something you can imagine BS Johnson writing, another angry, sad, brilliant man who went raging into the tragedy of premature death.